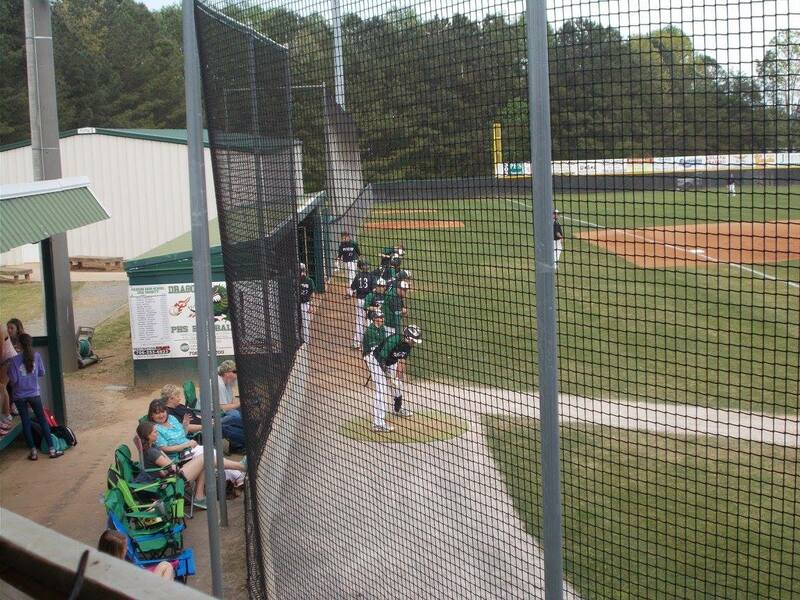 Yesterday, the PHS Dragons baseball team hosted the Raiders of Southeast Whitfield in the final regular season game of the season. Earlier in the season, the Raiders bested the Dragons in Dalton, with Pickens looking to avenge that loss. Prior to the game, the bat boy for the Dragons and the all-time home run leader for Pickens Jake King added to his record with an inside the park homer. Senior Tyler Garner took to the hill for the Dragons in the final game before the state tournament. The Raiders had a mini threat brewing in the top of the 1st, but Garner and the Dragon defense were able to get out of it, sending us to the bottom of the opening frame. Travis Huffman led the inning off for Pickens with a triple to left center, and was brought in on a sac RBI by Walker Lawrence to give the Dragons a 1-0 lead going to the 2nd. Garner struck out two in the top of the 2nd, and Pickens went in order to send us to the 3rd with the Dragons still ahead, 1-0. Southeast Whitfield plated a run in the top of the 3rd to tie things up at 1 a piece. The tie would not last long however as RBI hits from Joseph Gossett, Lawrence, & Garner gave the Dragons a 4-1 lead going to the 4th. 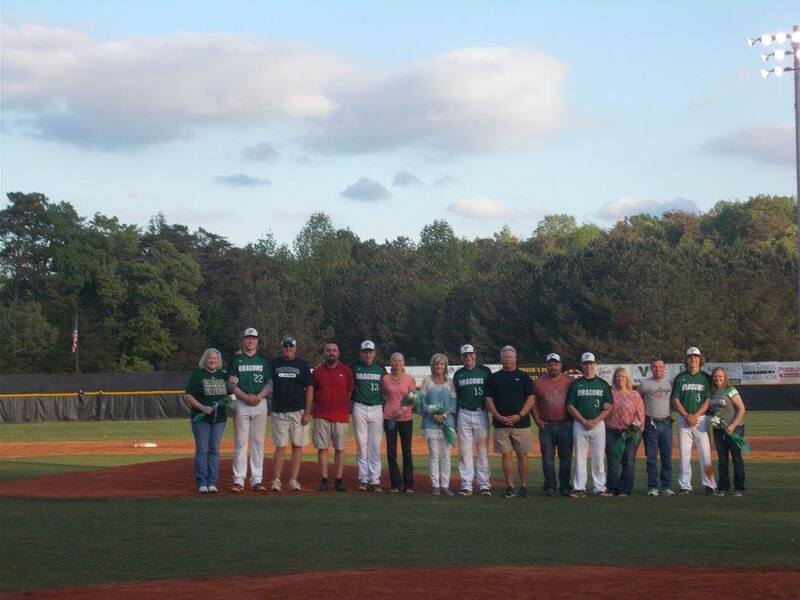 The Raiders threatened in the top of the 7th with runners at 2nd and 3rd, but Dylan Huffman was able to work around it and close things out for the Dragons giving Pickens a 4-1 win on Senior Night. 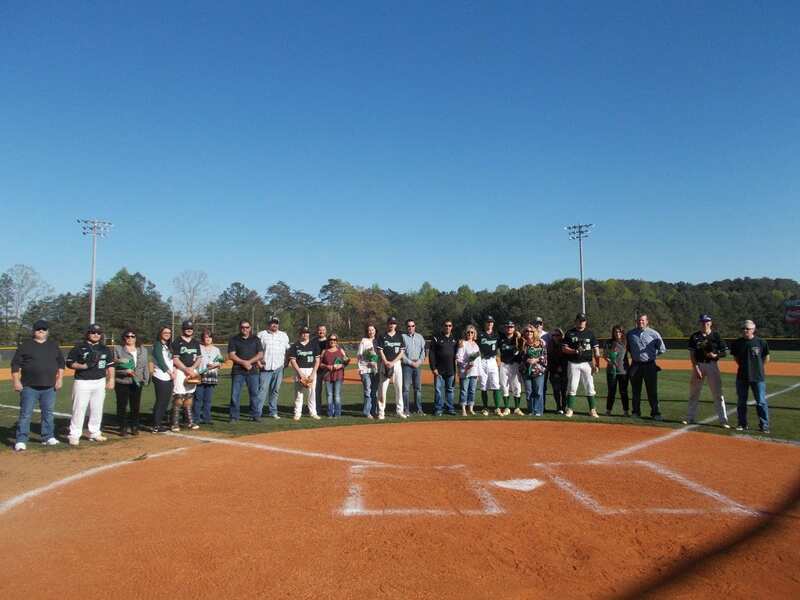 After the ball game, seniors (as pictured above), Tyler Garner, Clayton Wilson, Walker Lawrence, Dillon Champion, & Caleb Brooks were recognized for their contributions to the program and to PHS Athletics. The first round opponent for the 4A state baseball tournament has yet to be determined as of now for the Dragons. What is for sure is that it will either be against Redan or St. Pius on Friday, the 29th. Times and location will be determined later. 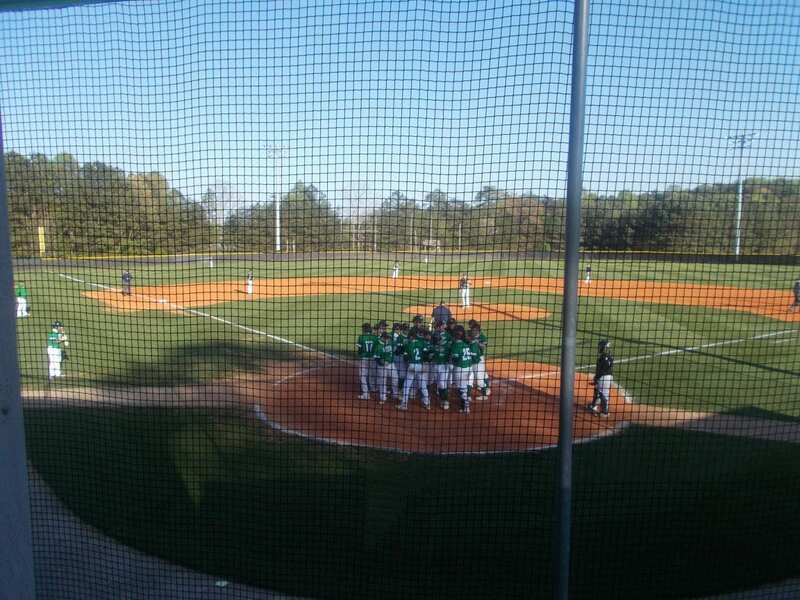 Yesterday, the PHS Dragons baseball team hosted the Ridgeland Panthers at Dragons Field in the most important game of the season to date. Both teams came in tied for third in the 7-AAAA region standings, and the winner would have the inside track to the 3 seed in the upcoming 4A state tournament. Travis Huffman got the call to start for the Dragons in this crucial game. Ridgeland was able to get on the board first in the top of the 1st scoring two runs. Pickens wasted little time getting their bats going as the Dragons got a pair of 2 RBI doubles from Dalton Presley & Dylan Huffman, plus RBI hits from Wyatt Gooch & Joseph Gossett to take a 6-2 lead going to the 2nd. 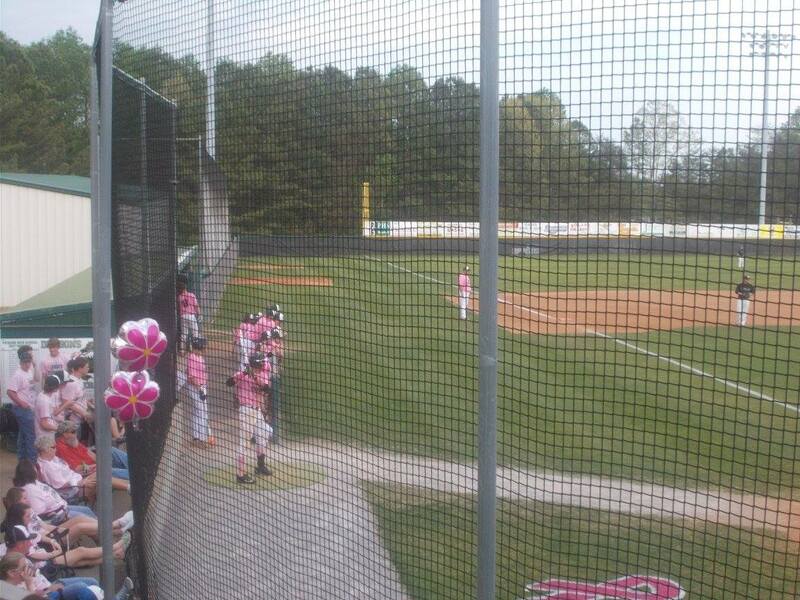 In the top of the 2nd, the Panthers cut the Pickens lead in half making it 6-3. The Dragons got that run back when Walker Lawrence scored after drawing a walk, stealing 2nd, then advancing home on two fielding errors to make it 7-3 going to the 3rd. In the 5th, Ridgeland cut even more into the Dragons lead as they were able to plate two runs, sending us to the bottom of the frame and Pickens clinging to a 7-5 lead. A wild pitch led to a Dragons run to stretch the lead to 8-5 going to the 6th. In the 6th, Pickens got an RBI from Presley, Gooch, Dillon Champion, & D. Huffman to break the lead open to 12-5. Tyler Garner came in and closed things out in the top of the 7th to give the Dragons a 12-5 win and control of 3rd place. 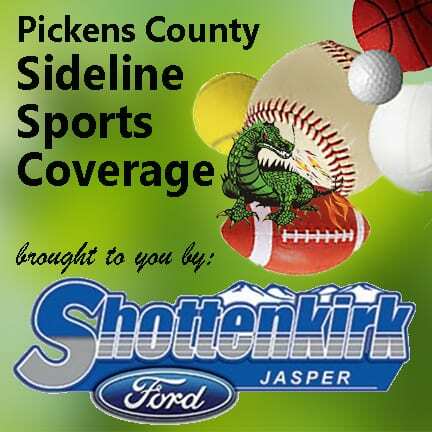 With the win, Pickens is now 15-9 on the season and 8-5 in 7-AAAA play. There will be one more home game this regular season and it will take place on Friday as the Dragons welcome the Raiders of Southeast Whitfield to Dragons Field. If the game is postponed, the two teams will play on Saturday. 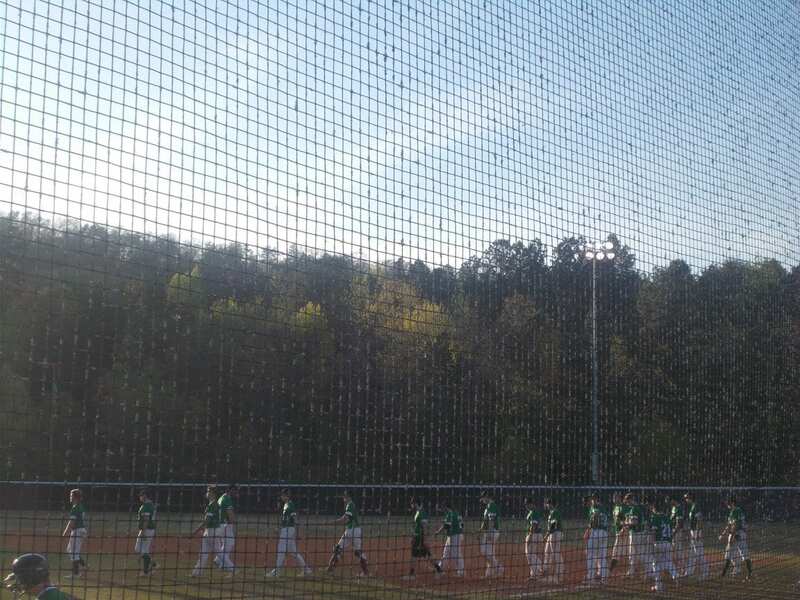 The Pickens Dragons had a tough time putting together any run support on Friday against the Cartersville Hurricanes, stringing together just three hits in a 7-0 loss. « Previous Article Politics and Religion Don’t Mix Or Do They?